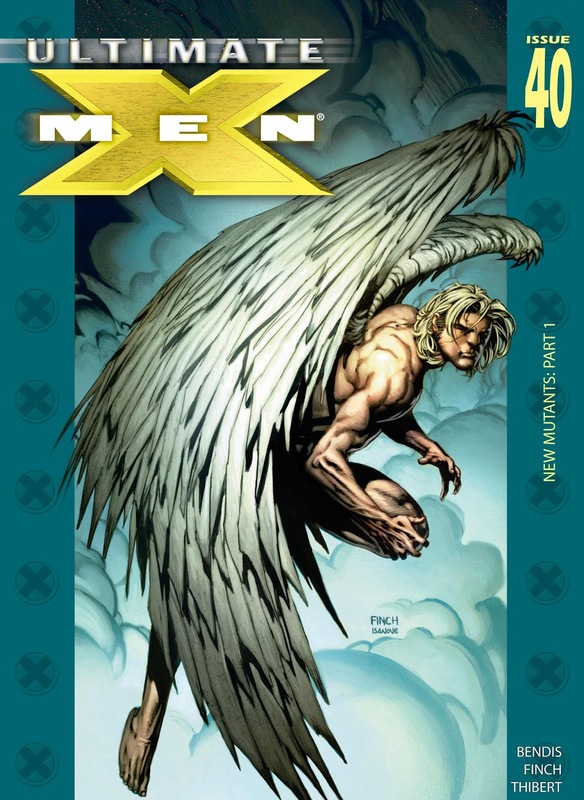 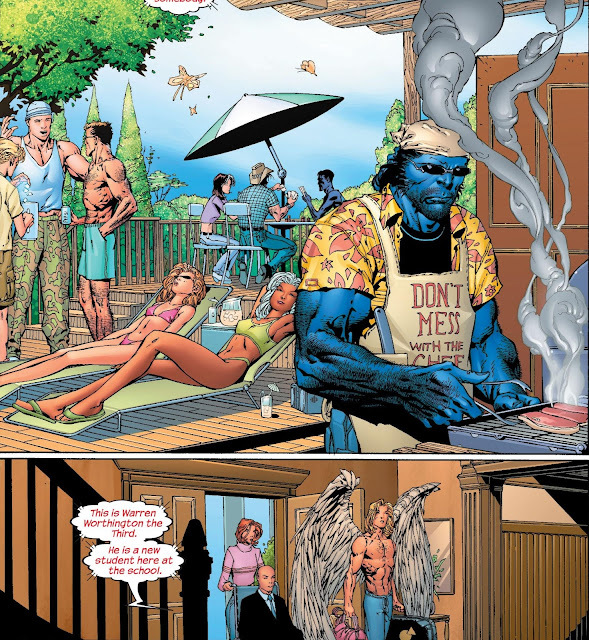 In Ultimate X-Men #40, Warren Worthington II joins the X-Men. 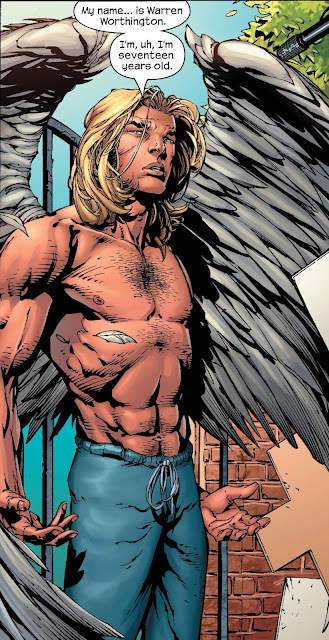 He pays a visit to the school, shirtless. 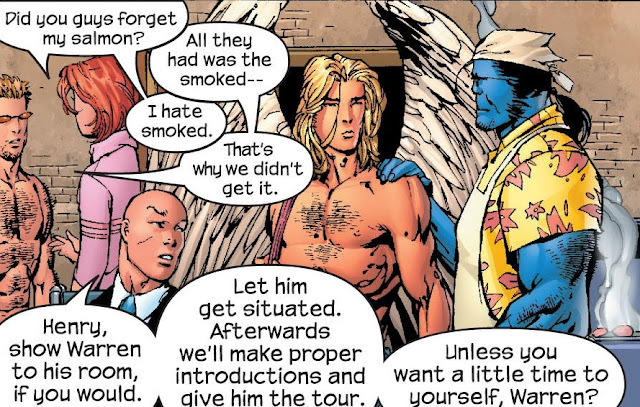 Bonus: Cylcops appears bare-chested too. 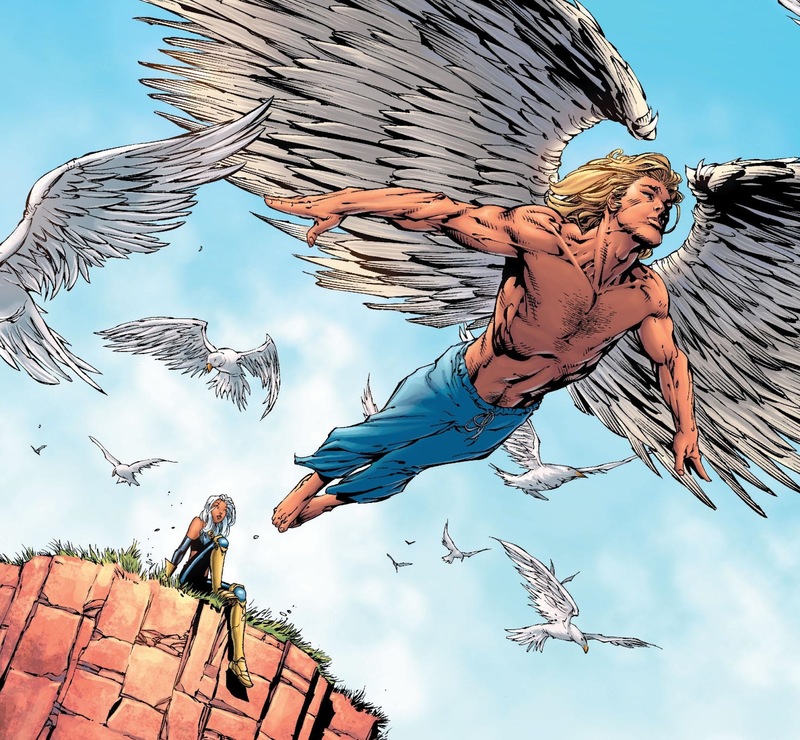 Ultimate Angel is even more beautiful than his 616 universe version. He's my favourite mutant, the biggest love of my life in Marvel comics since I saw him the first time at 11. Yeah, I love that he was shirtless all the time. 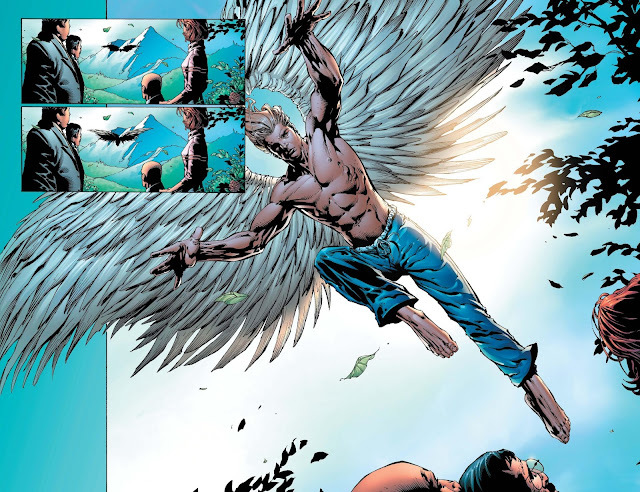 It's a shame he perished in Ultimatum.